Install gear installation tool on threaded end of shaft. 13. 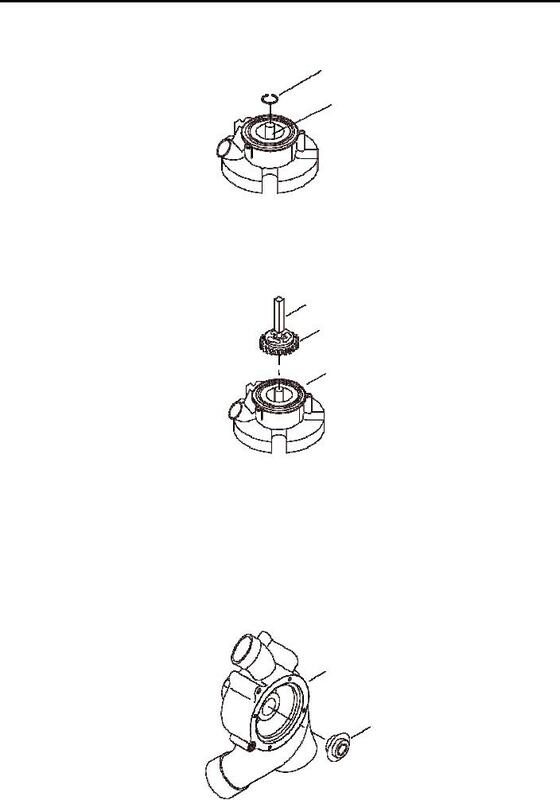 Using the retaining ring pliers, place the bearing retaining ring (3) on the shaft (10). 14. Press gear (2) onto shaft (10). Install gear installation tool (17) on threaded end of shaft (10). Place the pump body (1), cover side down, on the bed of the arbor press. Position the gear (2) between the press ram and the shaft (10). end of the shaft (10). contaminated and allow the water pump to leak. 15. Press new water seal (14) into pump body (1).